We did 3D mapping for the Gardner Denver booth, in Houston, at OTC'14, the largest energy trade show in the world. 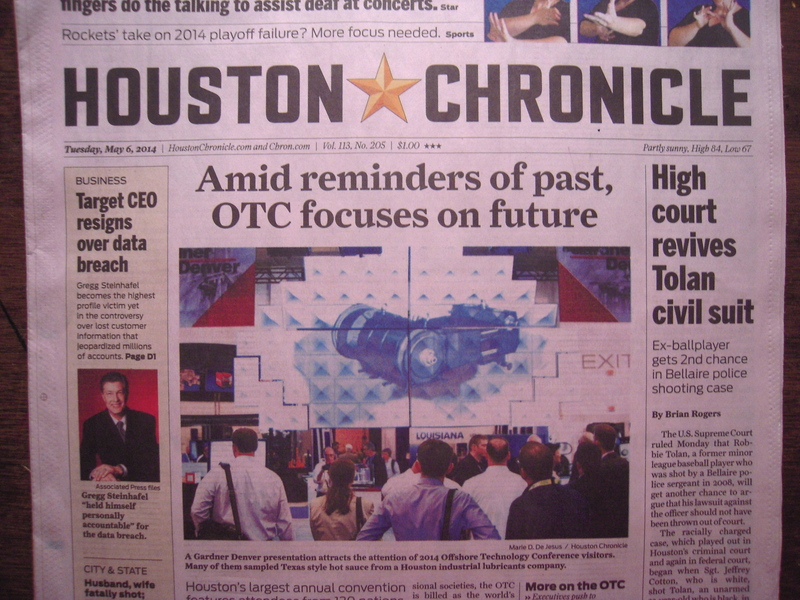 Out of 2700 exhibitors, we ended up on the front page of the Houston Chronicle. The booth won Exhibitor Magazine's "Best Use of Technology." Here's the article, which came out this week. Click here, and scroll to 3rd story.